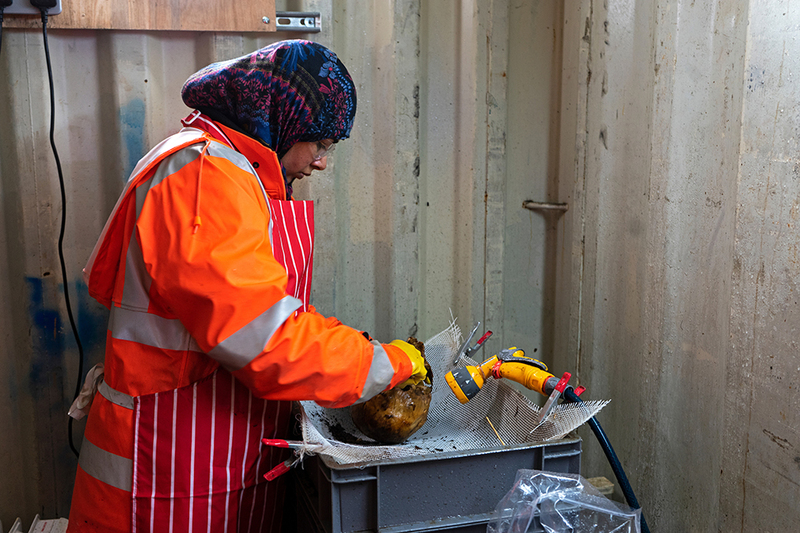 A mum of 2 from Washwood Heath, a teenager with Asperger Syndrome and a 58-year-old who was out of work for several years are now on the pathway to an exciting career in archaeology. Trainee Archaeologists, Eleanor, Iram and Mick on site at the Park Street excavation. Just a year ago, the trainees had no idea they could get the opportunity to become archaeologists. Now they are playing a pivotal role in the delivery of Britain’s new high-speed railway by supporting the most extensive archaeological dig currently underway in Europe. The 10 trainees, aged 18 to 58, came through the West Midlands Combined Authority’s (WMCA) Construction Gateway programme, funded by £5 million from the National Retraining Fund. Following an initial 6 week training programme, delivered in conjunction with BMet College, a number of the trainees have gone on to be directly employed by archaeology and built-heritage specialists, MOLA Headland. Not only is HS2 driving business growth and creating jobs right across the country, it is playing a crucial role in upskilling the nation and supporting people into meaningful employment. Even at this early stage in the programme, we’re expanding the breadth of people working in a diverse range of transport and infrastructure-related roles and creating a talented and highly skilled workforce for the future. Working alongside HS2’s enabling works contractor LM, the trainees are learning from MOLA Headland’s archaeological experts at the site of Birmingham’s brand new high speed rail terminus station. For 63 years, between 1810 and 1873, a section of the site on adjoining Park Street was a burial ground, and archaeologists at the site are studying the remains of those interred. Our construction sector is booming in the region, and the WMCA’s Construction Gateway programme is making fantastic progress in helping people find rewarding jobs in this growing industry. The archaeological dig at HS2’s site in Birmingham presented a fantastic opportunity for unemployed local people to find an interesting way into work, and we were delighted to help fund the training necessary to kick-start their careers. Congratulations to all the trainees who have gained work through this project. The site in Birmingham forms part of a wider archaeological programme. Over the next 2 years, more than 1,000 archaeologists, period specialists, scientists and conservators from across the UK will be exploring and recording over 60 sites from London to West Midlands. 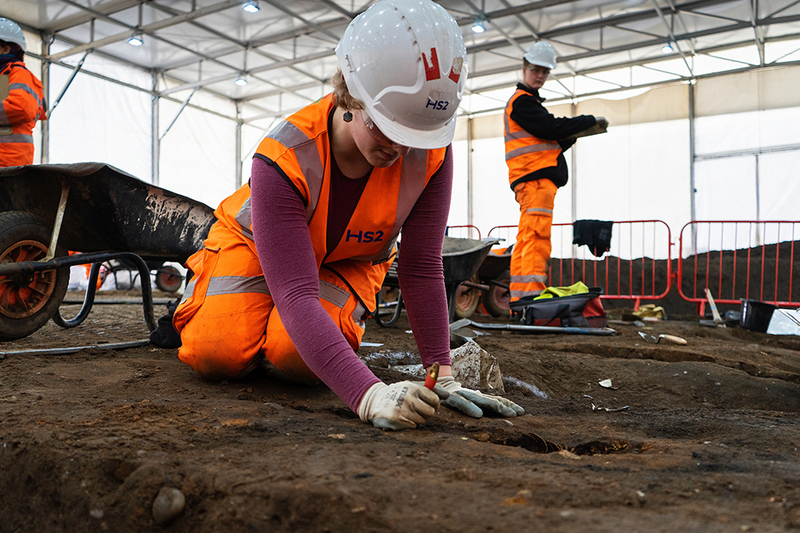 Ranging from the Prehistoric period to Roman Britain, the Anglo-Saxon and Medieval ages, the Industrial Revolution and World War Two, HS2’s archaeology programme will be Europe’s biggest dig and promises to provide a fascinating insight into the everyday lives of the people and communities who made modern Britain. I didn’t think I’d ever get the opportunity to explore a career in archaeology, as I don’t have an academic background in the subject. Being selected to do the archology traineeship, and to be linked to a project as huge as HS2 is just amazing. I’m so pleased to be here. Having studied medical law, I was really intrigued to find out more about the study of skeletons and evidence of medical interventions in the past. I really enjoyed the traineeship and am keen to explore if there is a future for me in archaeology. I wanted to find a career that would interest me and am now really enjoying working in archaeology. It’s great to be part of a team working on something so unique. The design, construction and operation of HS2 presents a huge opportunity to upskill local workers and create a new industry in high speed rail we can export around the world. The UK needs more skilled workers to build HS2, as the project will support 30,000 roles at peak construction, 2,000 of which will be apprenticeships. With a series of sites for HS2 in the heart of Birmingham, LM has been keen to work with regional bodies such as BMet and West Midlands Combined Authority to create employment opportunities. I’m proud of the role that we have played in giving these trainees a stepping stone into the world of archaeology on such a landmark project. This is one of the most exciting projects in a generation, and the skills they’ll learn will hopefully set them on the route to a rosy future. For more information about careers and opportunities to work on HS2, visit the HS2 careers website.